This slide show gives a flavour of the exciting time that many confirmation candidates enjoyed at the beginning of May. 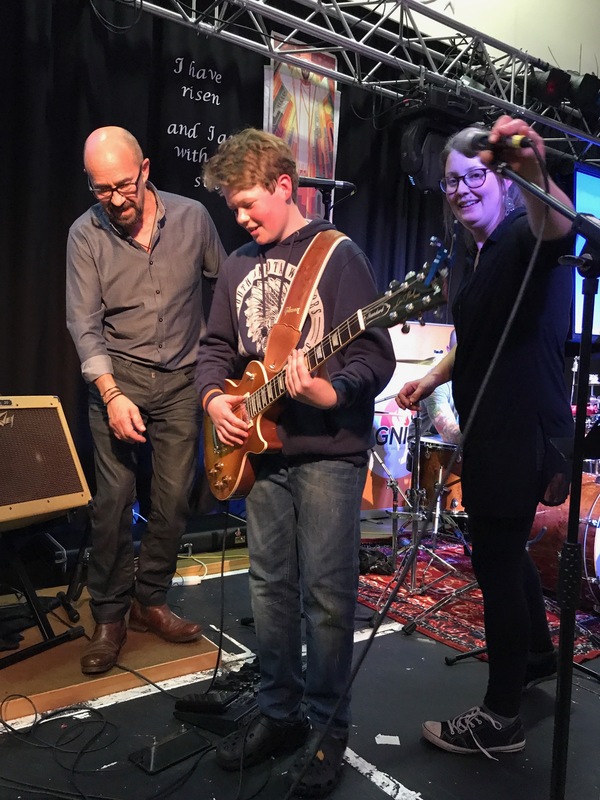 Caroline Coles was there and her report gives a detailed insight into the weekend. 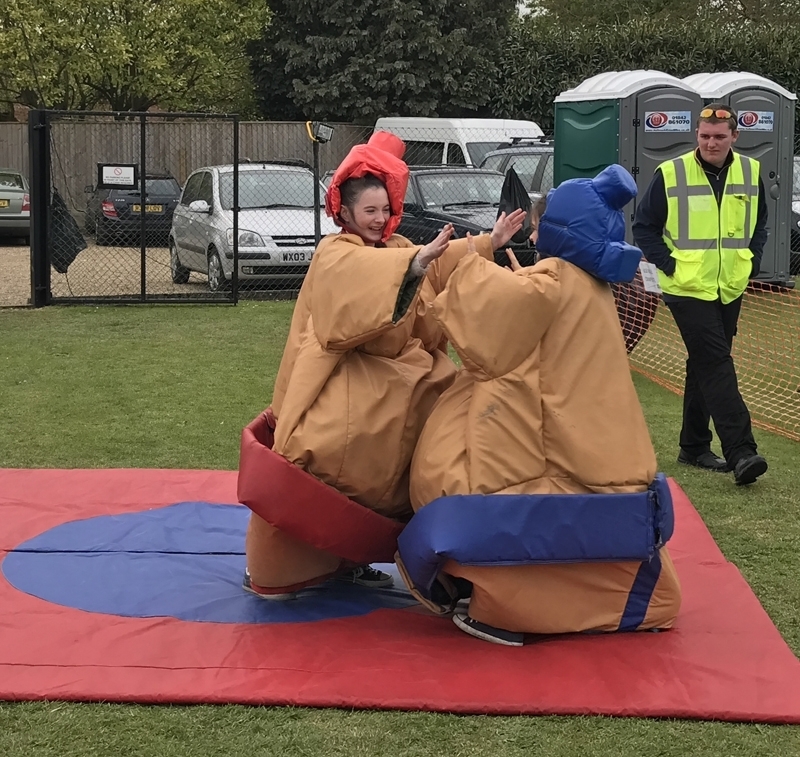 The Ignite Youth Festival 2017 was held in the school and grounds of Sacred Heart School in Swaffham from Friday 29 April to Monday 1 May. 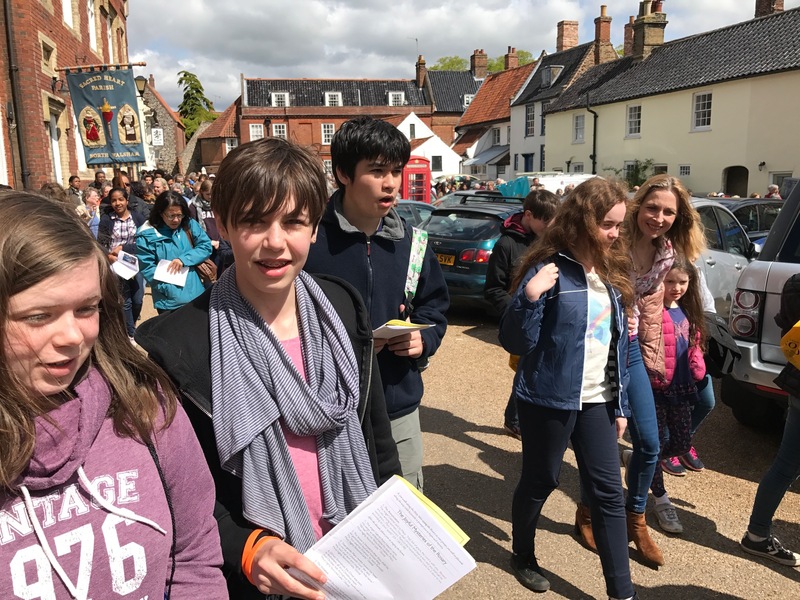 We arrived to set camp at 2 pm and seven of our confirmation candidates joined us, with six others coming along on the Saturday. 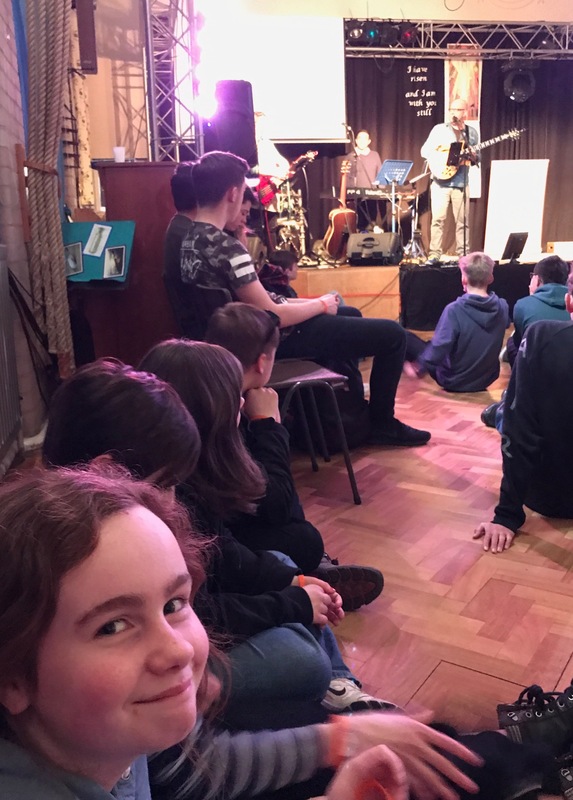 The weekend was a mixture of fun and spiritual activities and was led by Hamish McQueen and his Ignite Lite Youth Leaders, Cat Williams and Clive. 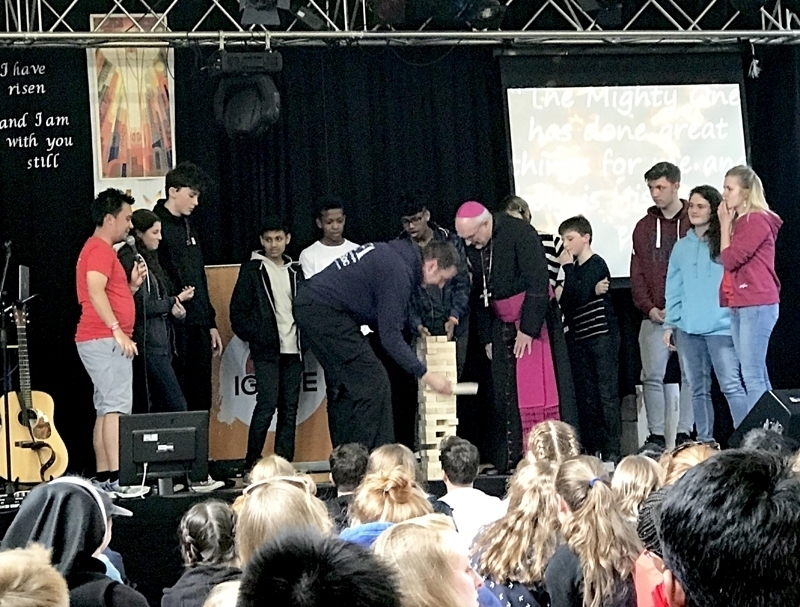 We began with an ice breaker, Giant Jenga, in which all the parishes from the diocese were introduced as well as Bishop Alan. The Matt Dean Band provided all the worship music for the weekend and led us in prayer largely through singing. The funny Tony Vino entertained us with his comedy before supper and more settling in. 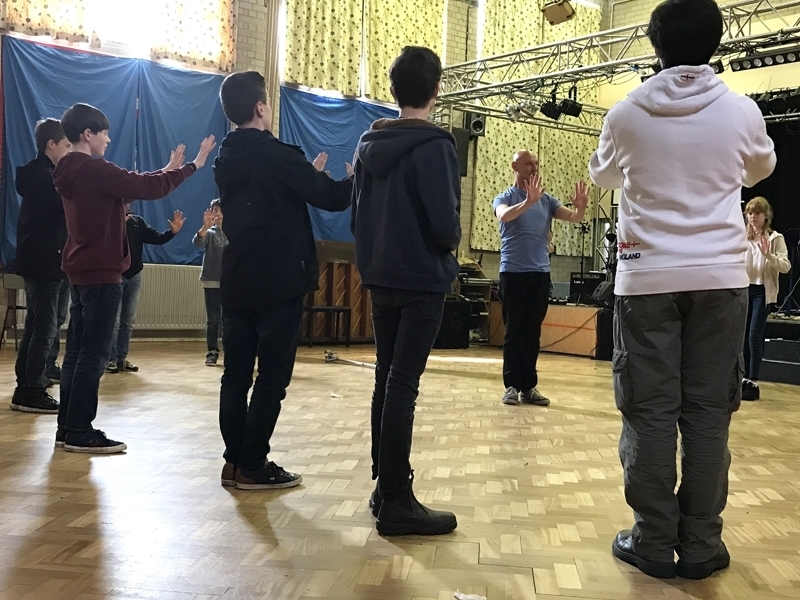 The important evening session in the hall was largely led by Fr. Henry who led the adoration and then reconciliation. 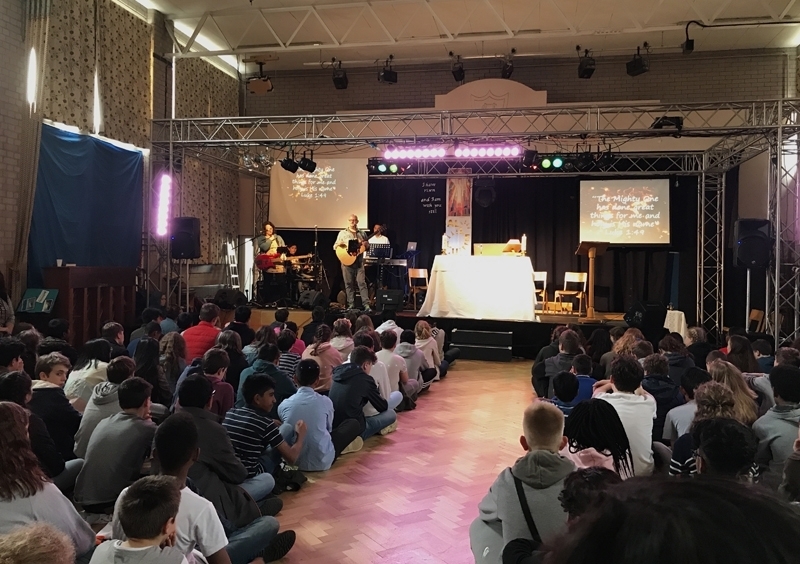 In a peaceful and quiet atmosphere, all 200 young people sat and thought about how they could come to God with all their wrong doings and ask to start again through confession. 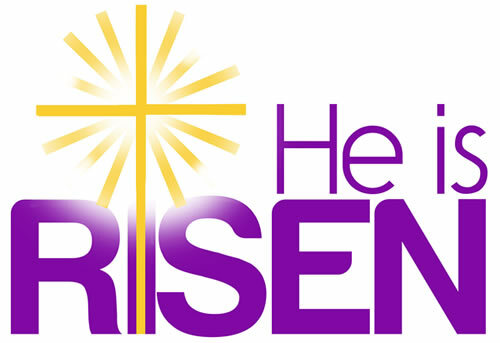 This beginning was to set us all up in our faith for the weekend. A disco rounded off Saturday night and the campers had a sing song around the fire pit before settling down in their tents for some sleep! 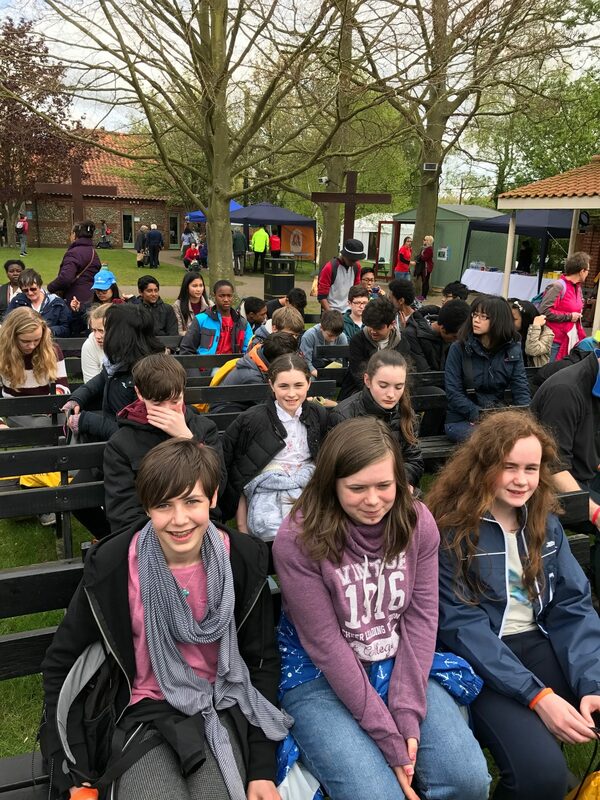 An early start for a full day on Sunday began with an introduction and then fantastic mimes from Steve Murray, which were scripture based; he spoke directly to many of the young people about the issues that they face. Mass was celebrated in the hall with Bishop Alan and other priests from the diocese. 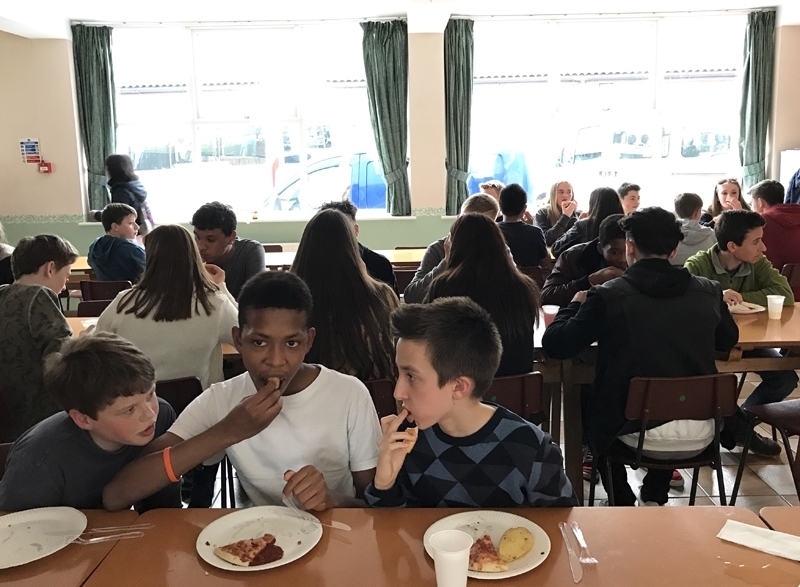 Following lunch there was a choice between fun activities such as basketball, icon painting and sumo wrestling as well as boxing and mime; and spiritually thoughtful sessions such as Heart to Heart to further build on the weekend’s work. Free time and tuck shop fitted in between any sessions and the delicious smells of the BBQ drifted over Daisy’s singing at 5 pm. 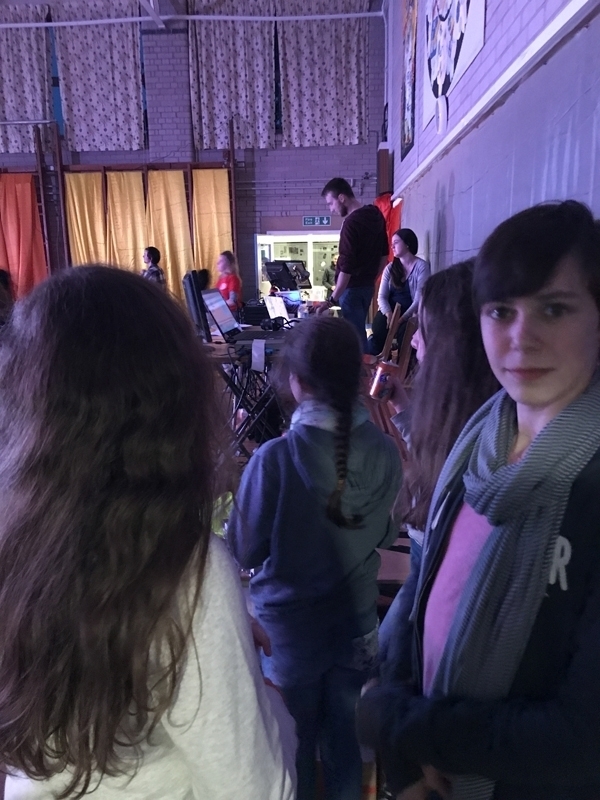 The missionary and ex- boxer Gary spoke to us before prayer in the early evening- all young people listened intently to his story of conversion. The band Night Train, with saxophonists and electric guitars, quickly set up and had everyone up and dancing till gone 10 pm. 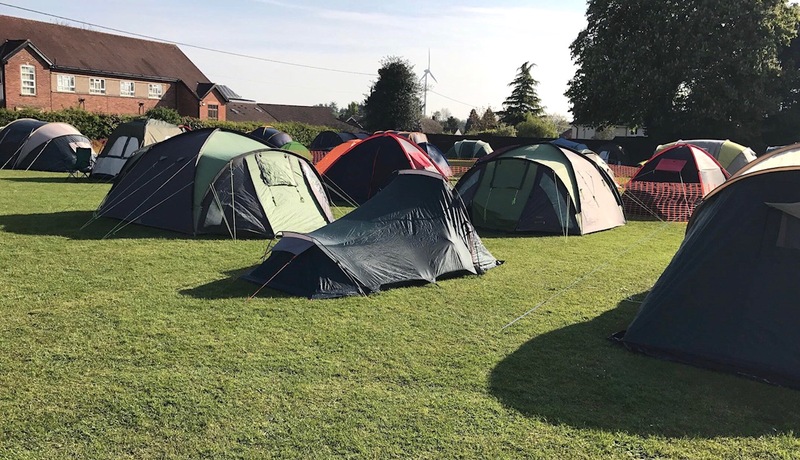 An early start was made with a cooked breakfast on Monday morning in order to get the camp packed away and all loaded onto the minibus for the journey up to Holkham beach to start the pilgrimage! 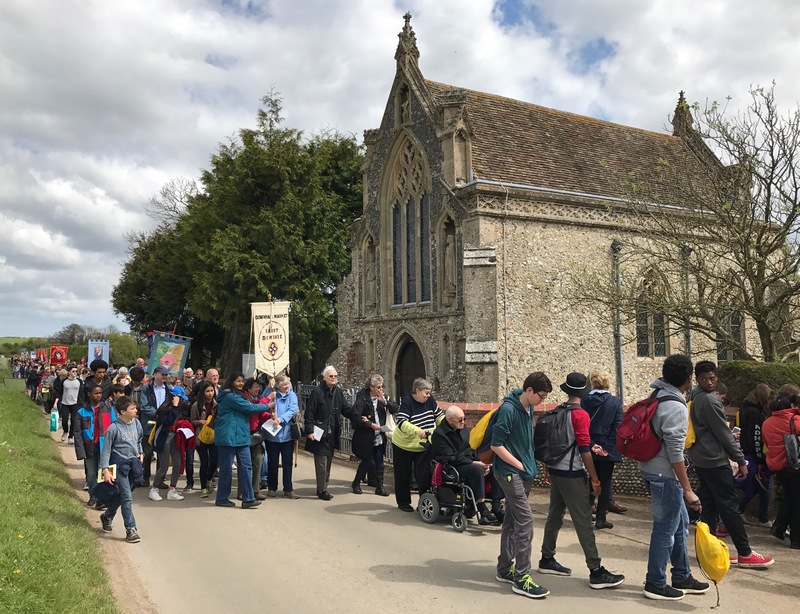 The seven mile walk to Walsingham to then begin the Holy Mile was a time to chat with new and old friends as well as the Ignite Team leaders. 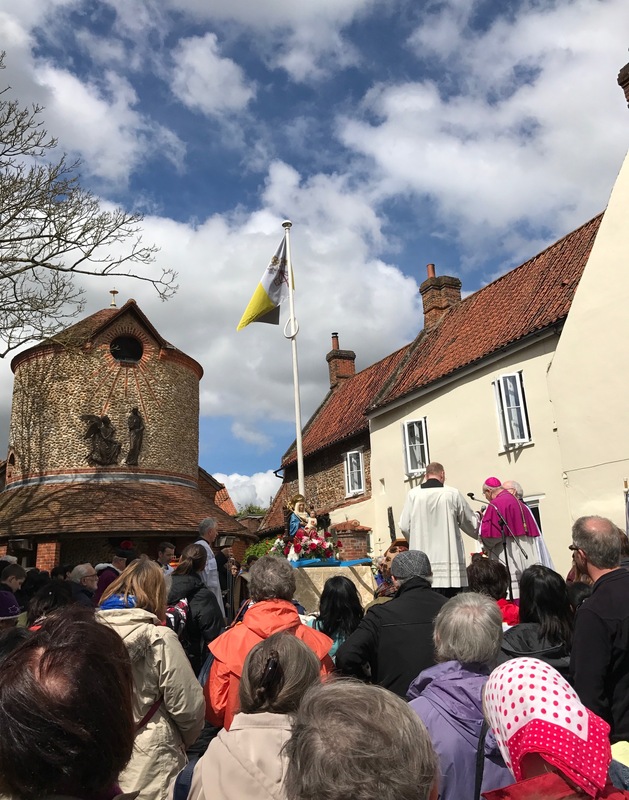 Outside St Michael’s Church in Walsingham, Bishop Alan led the service to begin the Holy Mile to the Slipper Chapel and the Church of Reconciliation before an afternoon Mass. A beautiful sunny day meant that everyone’s spirits were still high despite fatigue creeping in. 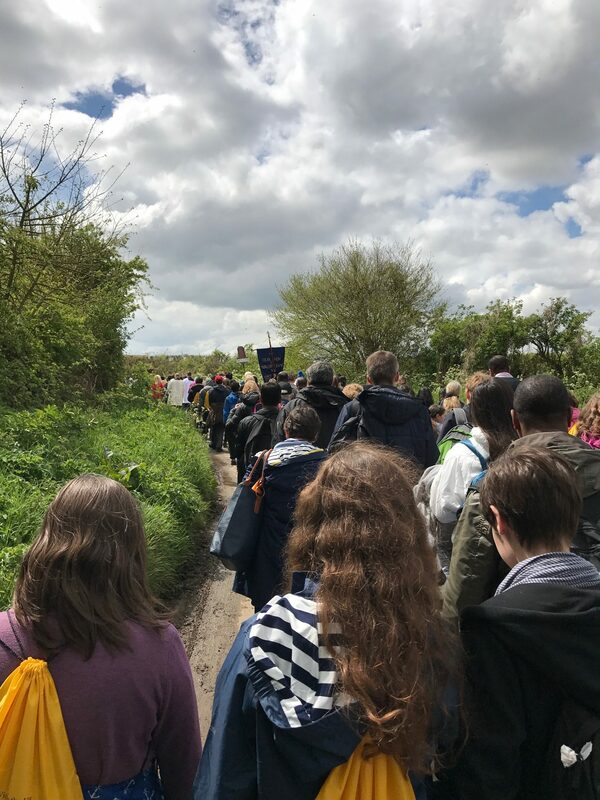 There was a great deal of the satisfaction of making a pilgrimage and the confirmation of our faith during the Ignite Weekend.